Everybody knows this font. You see it everywhere. It is coined as "one of the most pervasive fonts of the modern era." Everything from road signs to your government tax documents is typed out with this font. Why? The answer is simple. Helvetica strips away the unnecessary and acts solely on the function of legibility. Gary Hustwit released a film that pays homage to the history of this font. 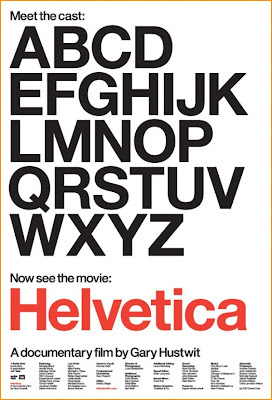 Make sure you check out HELVETICA to learn more about its creation.